Yes ladies, it's that time again....fall is now officially upon us. As the weather begins to cool more and more, I'm sure it will suddenly hit you that you just may need a new coat. The trend for fall is ladylike and luxurious, so vintage coats are a perfect choice. With their vivid colors, rich fabrics, and special details like unique buttons and fur trim, a vintage coat is a great statement piece. They also seem to go with everything. Of course they're great with dressier outfits, but you'll find that most are absolute magic in how they instantly jazz up the everyday t-shirt and jeans. 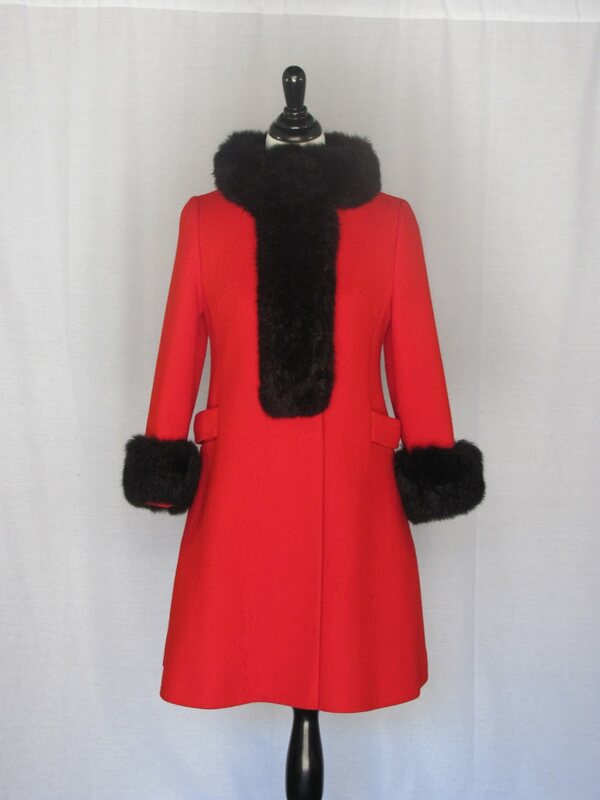 The 1960s red wool coat below is perfectly on trend for fall and winter, especially with that fantastic fur trim, and not surprisingly it just flew out my store. I'm beyond excited for the gal who will soon be wearing it. Don't miss the other fantastic coats in the GlamAmor Store now!